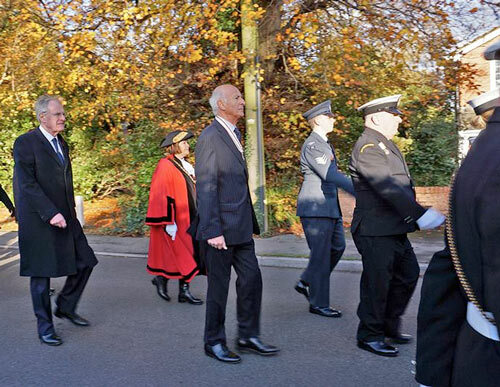 It was poignant over the weekend of 11-12 November to see how many local people gathered together to remember the fallen servicemen and women from the conflicts of the last 100 years. On Friday 10 November in Verwood, the Orchard Nursery visited the Memorial Stone on Ferrett Green and laid their three wreaths. 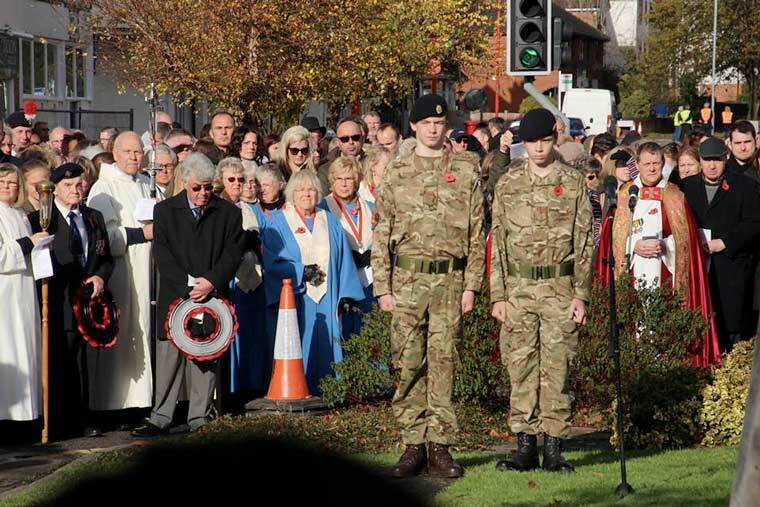 On Remembrance Sunday, the 15th Signal Regiment joined the community of Verwood at the Remembrance service. Representatives from the community included the Mayor, Councillor Mrs Lindsey Dedden and fellow town councillors, representatives from the Royal British Legion, Simon Hoare MP, the Royal Airforce Association, the Guides, Scouts, Verwood Rotary, Probus, Churches Together and others to remember those lost. 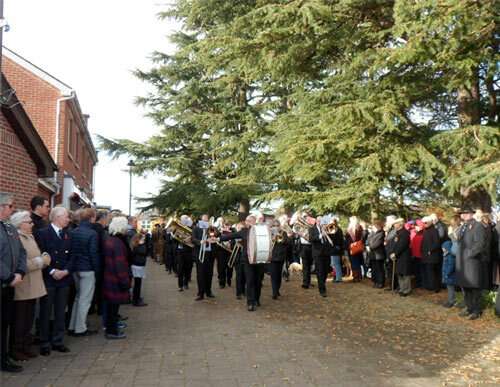 Verwood Concert Brass led the parade to Ferrett Green, where the Mayor spoke a few words before the two-minute silence. Meanwhile hundreds of people gathered at the war memorial in West Moors following a parade. Ferndown’s commemoration was a large affair with a parade of current and former servicemen and women, display of vintage war-time vehicles, scouts and more attended by the Mayor Cllr Cathy Lugg, other councillors, MP Chris Chope and many other dignitaries. These are just some of the many events going on in the region to mark the occasion.